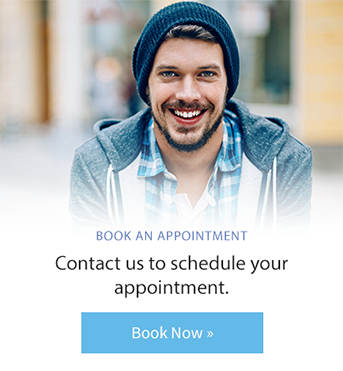 Want to change your smile in just one dental visit? Scarborough's Birchmount Dental Group offers dental bonding for patients who are looking to transform their smile at our office. Dental bonding is a procedure in which a tooth-colored resin material (a durable plastic material) is applied and hardened with a special light, which ultimately "bonds" the material to the tooth to restore or improve a person's smile. Dental bonding can be used to improve teeth that are stained, chipped, cracked, misshapen or separated by gaps. Bonding can be done in one dental visit. There is little to no removal of natural tooth enamel, preserving the health and natural structure of your tooth. Less extensive procedure than other cosmetic restorations like veneers or dental crowns. Bonded teeth do not require special care. Simply follow good oral hygiene etiquette. Brush teeth at least twice a day, and floss at least once a day. Bonding material can chip, thus it is important to avoid such habits as biting fingernails; chewing on pens, ice, or other hard food objects; or using your bonded teeth to open things. If you do notice any sharp edges on a bonded tooth or if your tooth feels odd when you bite down, please contact the dentist.